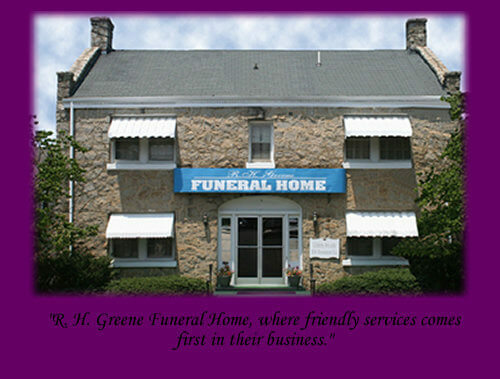 R. H. Greene Funeral Home was established in 1977, and has a long-standing, rich relationship with Warrenton and surrounding communities. Nathaniel G. Yarbrough is president of R. H. Greene Funeral Home, Inc. He is a graduate of North Carolina A & T State University in Greensboro, NC and Gupton Jones Mortuary College in Atlanta Georgia. He is a licensed funeral director and embalmer, and is experienced in the most modern techniques in mortuary science that exist at this time. At R. H. Greene Funeral Home, we understand the emotions experienced by the loss of a loved one. We devote our caring, personalized service to helping you through this difficult time. Our compassionate and courteous staff of trained professionals will provide expert guidance to make arrangements for your loved-one meet your complete satisfaction. We encourage family members to share their personal thoughts and suggestions to bring even greater meaning and significance to the service. We also offer grief counseling to provide emotional support and help our families cope with their loss.